Have you ever used the wireless technology for the trading of securities? By wireless technology, I refer to the mobile trading where you can access various trading platforms from your phones instead of using traditional methods via computer/laptop. Maybe you haven’t used it earlier. But trading requires a lot of attention and for tracking the updates and other information related to the market, you need to login your account again and again which may not be possible on the computer every time. So to make your work easier and worth it, we have an app in our court for your comfort. You can perform all the operations on your mobile phone easily using this mobile friendly platform. Basically, mobile trading means using wireless technology in securities trading. It allows investors to access trading platforms from their phones rather than being confined to traditional trading methods via computer. This type of technology allows easier access for the Smartphone users to actively manage their portfolios even when they are not able to user their laptop or a desktop. The app offers low cost CFD trading on Cryptos, Forex, commodities, shares and indices. This mobile trading app allows you to monitor the market, place trades, check open positions, manage orders and funds from anywhere at anytime.The app offers CFD trading on the world’s most popular financial instruments and currencies such as S&P 500, EUR/USD, USD/JPY, GBP/USD, Gold and oil. The company offers competitive leverage rates across all the products. The functioning of the app is very simple and easy. You can open, fund and start trading on your account in just a few minutes. The designing of the app is quite good and it’s intuitive in nature. The app is user-friendly and has totally kept the traders in mind while creating it. So you’ll get the trading experience using this app without any hassle. It offers over 1000 CFDs which include Forex, commodities, indices and single stocks. The ADSS Trading app has been developed by ADS Securities L.L.C., which is a limited liability company incorporated under United Arab Emirates law. The company is registered with the Hong Kong Securities and Futures Commission. The app is compatible with all the Android Smartphones having the latest version of the Operating System. So put the desktop in your pocket and make the markets work for you at anytime, anywhere. It’s available for free on the Google app store. Try it now! Pros: best mobile trading app; offers low cost CFD trading; works flawlessly; easy to use; can be used anytime, anywhere; the intuitive UI; free. Hygger is online project management software for agile teams. It will help to make the project management process with better quality. The solution to your project problem is in this one formal application. This platform promotes the adaptability, meeting the deadline and managing the task on most innovative way. If your team is encountering a difficulty, Hygger represents the answer to your problem. • Agile Project Management: This feature aids the team to improve their performance with the used of agile tools. • Hygger helps in prioritizing your product development. They will execute you the beast ideas to your project. • It provides a roadmap that allows the user to visualize their outcomes and plan. This strategy supports the team in their step by step procedure to keep them updated. • The convenient of managing all the processes in one place. • Combining tasks that belong to a certain release. • This software will keep the accountability high and accurate. • You can, in addition, include a comprehensive overview of the task during the process. 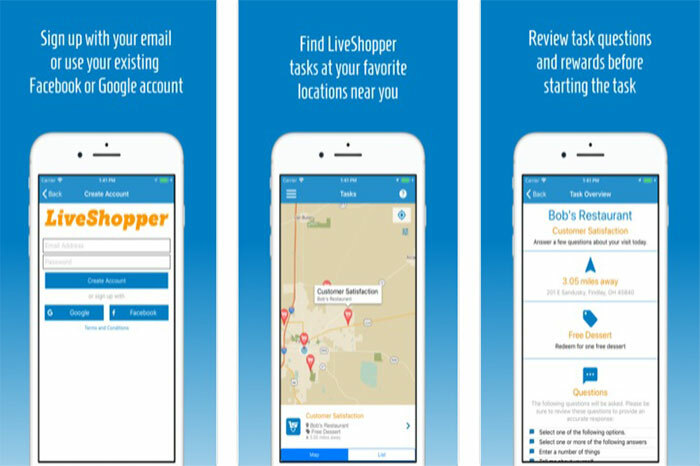 • Hygger has many impressive features for junior teams such as backlog and roadmaps. And this software is absolutely free to use. You can customize who can participate because of the various boards. • The hygger is fast. You can manage to start your product with Hygger key features. It has a good UX. • Any kind of user can enjoy operating this software. There is no limit to create dashboards so this is ideal for any companies. The big or small team can use this friendly software. • It was effortless to inspire and manage the workloads. This will assist you to organize the product backlog. • This software is a time saver. Hygger is best to use for collaboration and planning of your product development. • Hygger is exceptionally easy and simple to operate. You can push the tasks and include more and more ideas to your project. The pricing options are great for a small team for startup. • You can mark all the history of the various commits that you can view clearly. The Kanban lists that host the team a swim lane that is convenient for the user. The task management and collaboration of the tools are perfect. • Many beneficial features that you cannot compare with any products. The support team will constantly restore you to overcome any problem. They are excellent! • No edit options like bold, italic and underline. • This can be used offline as well. • The user interfaces are not yet improved. • Mouse dragging wearily can still cause frustrating delays. • We cannot manage this application using iPhone or iPad. On the go, people need this feature to keep updated. • No color theme for each column. • There is no email for notifying. Nothing is more satisfactory than this online software. This is great for establishing an extraordinary thing for successful businesses. It was flexible to allegedly operate and properly manage. The innovative product is most outstanding to use wisely for better product development. I can positively assure you for the best result. I definitely recommend this application. This is inevitably the answer to all the difficulties when it comes to managing your project. $300 – that’s around the average cost to post an obituary in a newspaper today. During MyObits founder Scott Found’s 30 year career as a funeral director, he witness prices rise over 1,000%. Crazy, right?! 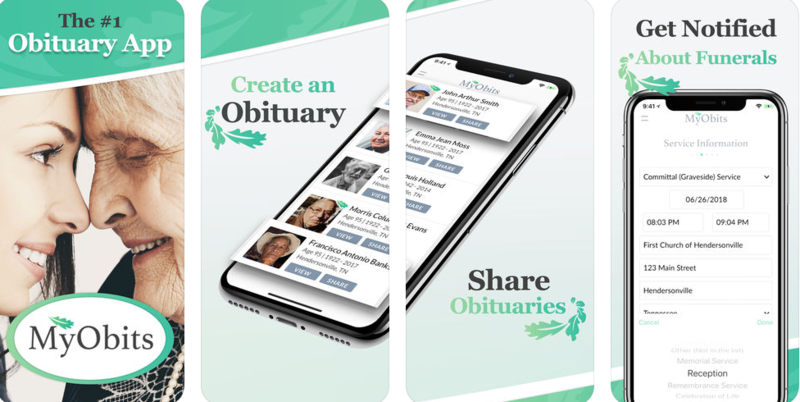 MyObits – available to download now on iOS and Google Play – was created to modernize the obituary process and bring it into the 21st century. After all, most of us now access our information digitally, so it no longer makes sense to pay hundreds of dollars for restrictive, limited-reach obituaries in newspapers. 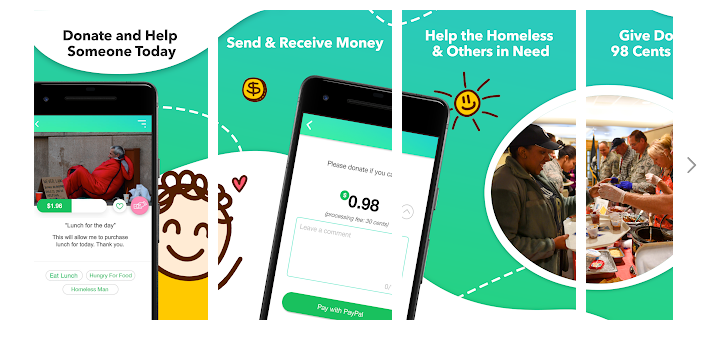 At around $35 per submission, MyObits can actually save families around 80%. That’s money which could help cover other costs and funeral expenses. The submission process is straightforward, too. With no restrictions you can write as much as you like and set the privacy to public or private and enter keywords to make the notice easy for the right people to find it. You can use information such as church affiliation, high school, military service and workplace to search for Obituaries in MyObits, making them more effective at reaching people than newspapers. Other small but useful features include an optional guest book and flower site, allowing loved ones to send fresh flowers. With more control over the obituaries you submit and significantly lower costs, MyObits has succeeded in providing a low-cost, effective alternative to print-based death notices. Should you ever need to use a service like this, they’re definitely worth checking out. Download MyObits now on Google Play and iOS or visit www.myobits.com for more information.